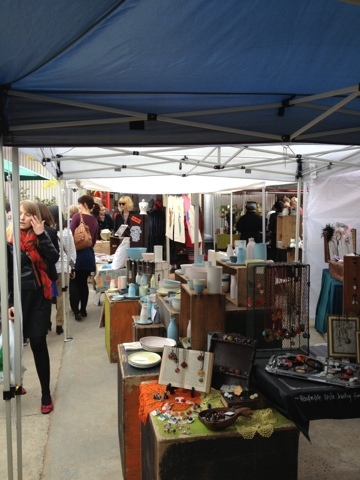 Ahh, the Rose Street Artists Market. It's like a faithful friend really. Open every weekend, rain or shine (though if we're talking about Melbourne Spring, lets face it, it's more likely to be rain), on both Saturday and Sunday for your happy convenience. 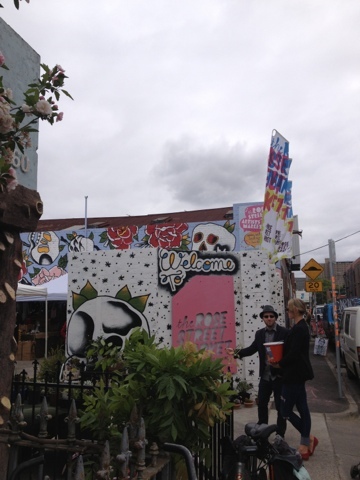 Situated on graffiti covered Rose Street this market has a bit of Brunswick Street grunge, a friendly community vibe and more than a touch of talent on display. 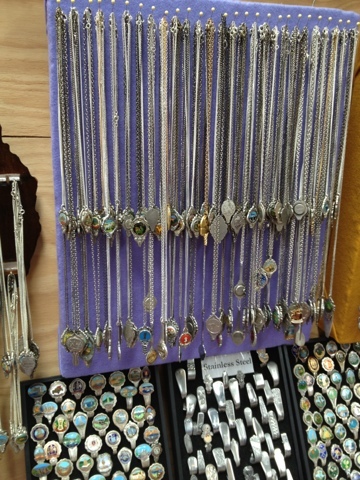 While not huge, there's pretty much everything you would ever want all in the one space; jewellery, clothes, cute quirky cards, random cool stuff (can't have a hipster market without that! 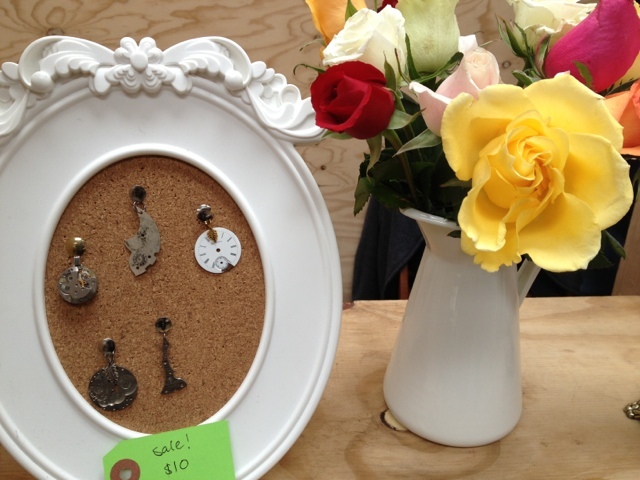 ), ceramics and delectable cupcakes...mmm, cupcakes. My top picks? Jewellery made from watch parts (radest cuff links ever. I wish I were a man just so I could buy them. That's normal, right?) 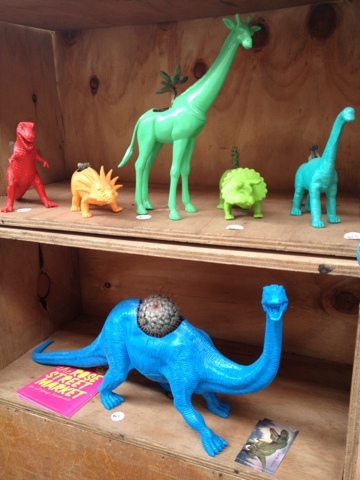 from designer Alison St. James, the Able and Game crew selling their completely hysterical stationary and designer Call Me Ishmael, who produces little scenes in glass bottles as well as dinosaur cacti vases. This is the kind of stuff that you never knew you needed or wanted until you realised it existed. There's also the cafe, Kanteen, on site to provide hungry shoppers with sustenance. 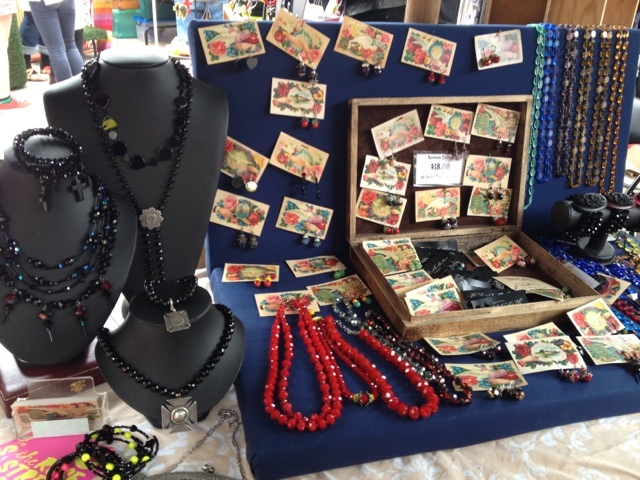 What's really great about the Rose Street Market is that usually the people standing behind the counter are, in fact, the designers themselves, meaning you can find out exactly how they created that pattern, beaded that necklace or baked that cupcake. There's something very cool and real about being able to understand where and how the product you love was crafted and here you can do exactly that! So if you've never had the pleasure of attending the ever so friendly Rose street Artists Market, I would highly recommend that it makes it on your To Do list. Guaranteed you'll leave with your heart, and not just your wallet, a little lighter.